What I’ve learned from my decade as an entrepreneur. Kaye Publicity, the first official company I ever started, turns 10! 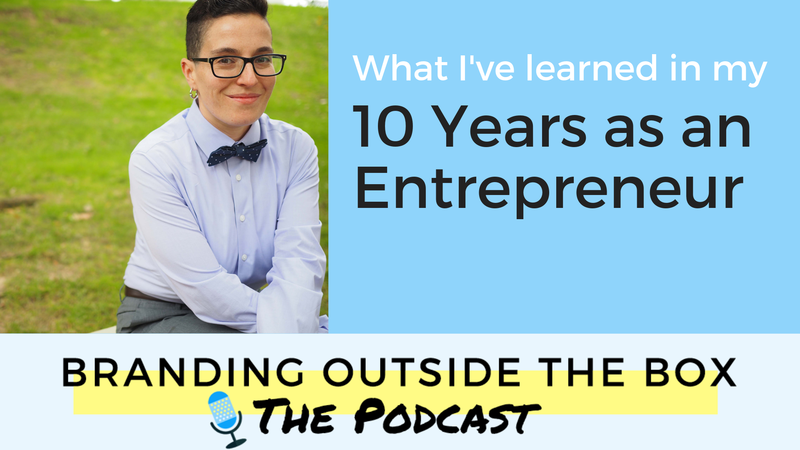 In today’s episode, I look back on the past decade and share what I’ve learned. Don’t say “yes” to “no” clients. Learn more about Kaye Publicity here. Thanks for the program yesterday for SinC members. Looking for how to get the slides and re-watch the programs (two of them actually) when no distractions. Missing how to access or download. Have not received an e-mail. Do I need to have taken a course to get the podcasts and “Branding Outside the Box” updates and info? It looks like you were sent the replay email as well as this week’s newsletter. Can you check your spam folder for dana(at)brandingoutsidethebox(dot)com?